Your success is heavily tied to the success of your manager. In most cases, when your manager wins, so do you. When your manager is failing, it’s like being on a sinking ship without a lifeboat. - A lack of resources; your team was always at the end of the line when it came to budget, office space, equipment, headcount, etc…. OK, so it’s in your best interest to work for a successful manager, right? Well, what if you don’t? In extreme cases, I’d say look for another job. Or, just lay low and wait it out. Organizational antibodies usually will catch up to and weed out really bad managers. And oh by the way, if you’re thinking the best way to clear the path for your own promotion is to help get your manager fired – forget about it. First of all, it’s slimy. Second, when a failing manager gets fired, the organization usually brings in an outsider – why would they want to promote another one of the losers on a losing team? However, for the bell-curve majority of average, above average, and even great managers, there’s the opportunity to learn, grow, get better, and be even more successful. And you can play a big part in helping them be more successful! 1. Starting with the obvious: be damn good at your job. A manager’s success is the aggregate of their team’s success. Put your manager in a position where they can bask in the glory of your success. When a manager doesn’t have to worry about how well you’re doing your job, it frees them up to focus on more strategic opportunities. 2. Support your manager behind his/her back. Help protect your manager’s reputation by spreading good news about him/her. While it may be tempting to join the crowd when the water cooler conversation turns to boss-bashing, don’t do it. You’re not doing yourself – or your own reputation – any favors. 3. Give your manager credit for your own successes. When you give that acceptance speech for employee of the month, don’t forget to acknowledge your manager. Oh, and don’t forget to mention your Mom and Dad too. Sorry, that was directed to my own kids. 4. Nominate your manager for an award. There are plenty of industry awards to go around these days – you and a couple of your co-workers could work behind your manager’s back to submit a nomination. 5. Show confidence in your manager’s potential. A lot of managers don’t get promoted because they don’t think they’re ready, or perhaps they haven’t been formally tapped as a “high potential”, so they don’t even try. Inspire your manager (if you really believe they can do it) to think of themselves as having potential. 6. 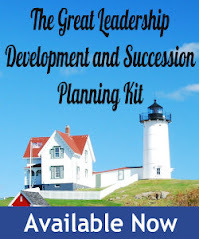 Make development suggestions on how to be better prepared for larger opportunities. “Hey, have you ever considered volunteering on a not-for-profit board? That would be a great way to learn how to work with diverse people and functions, and get an organizational perspective”. Just be careful here that you don’t come across as making remedial development suggestions. 7. Give feedback to your manager. Positive, specific, and sincere feedback lets your manager know what they are doing well so they can keep doing more of it. It’s also a good confidence builder. Well intended, specific and proactive constructive feedback can help keep your manager out of trouble. When your manager asks you to fill out a 360 degree assessment, take the time to give honest ratings and thoughtful comments. Every manager needs a trusted advisor on the team – someone they can go to – or that will approach them – then they need to hear the truth. So go ahead, hitch your wagon to that rising star, and who knows, you might just be sitting in your manager’s chair some day. Great post, Dan. I'm always thrilled when I see someone acknowledge that "those above" need recognition just as much as "those below." Thanks for the quote and reference by Frank. Makes sense! Typically when placed in this situation I have either waited things out or found a new job. While I have done some of your suggestions, you definitely gave me some new ideas (in particular numbers 4 & 6) for next time I am in this situation. You're welcome, and thanks for stopping by to comment. Glad it gave you some new ideas to consider. Nice post Dan. I couldn't agree more. At my old job I always gave feedback to my manager and instilled a high level of potential and eventually I got promoted. Maybe I was just damn good at my job, lol. Thanks. I'll bet you were and are!